Is this ok for a 2017 c200 se? Do you put it straight in and it should work? Hi yes this is the correct card for your card. Yes it is just plug and use nothing else is needed just insert and use. Hi yes that is the correct Garmin card for your car. Does this card need to be coded as I have tried swapping from one car to another and they don't work? Hi there are two cards each work with a range of cars so please se the description for the range of cars this one works with. Can I use this SD CARD for mercedes-benz c200 17 plate? Is this card suitable for an 18 plate C220 AMG Line D Auto convertible type 204 registered 03/18? Is this card suitable for a 17 plate Mercedes C200SE saloon first registered 07/2017? Is this card suitable for C200 petrol, manual, it was registered 05/17? Would this be ok for the C220d 2016 model ? Hi what Satnav system does you car have already ? I need one for a C220 Executive saloon , Bluetec, year 2015. car reg no. LS15 ESf, is the right one? 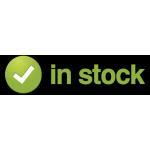 Hi yes this is the correct card they are £129.99 inc delivery and in stock. We have a Mercedes C200SE reg WA18NHM can you confirm if A2139069905 is correct card? Hi, I have a 2016 Mercedes C200 REG KP16LZL is this the correct card for the model of my car? Hi yes this the correct card for that car. Hi sorry for the delay in getting back to you. Yes this is the correct acrd for that car. I have a 2016 A 220d is this the correct card? Hi no sorry 2004 cars use a much older system. Hi what year and class is the car ? Hi, I would like to enquire if your SD card is compatible with the system in my car. The reg no is: KV16XMO, it is a C200 Mercedes. Hi what class car is it i.e. C CLA etc ? I have just had a software update on my Garmin map pilot fitted in my A Class. The layout is different to the previous one. Software version is 17/29.0. 54.12. Is this the latest version and where can I find a user manual. Hi it should still take the same card. Hi we have updated the site and yes you get the updated card as standard. I have just taken delivery of C200, is this the right card or do I need V9? Hi we have updated the site and yes you now get the V9 card as standard. I have a CLA 220 CDI on a 65 plate can you tell what Garmin SD card I would need. I have just bought a brand new 67plate mercedes C220d SE. Is this the correct sat nav card for this model? 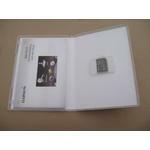 hello, I have a 67 Plate C200 SE, without a touchpad, will this card activate the satnav? Hi does the card have a "Nav" button and the slot for the card to go into ? If it does then yes all you need is the card to activate the satnav. Hi. I have a Mercedes C200 2015 65 plate. Is this the right card? How long to deliver in U.K.? Hi the Price is £109.99 and yes it will work with your C Class. Hi are you sure it is the SL as I dont think they make a 220 version ? Do you mean the slc or similar ? I bought an SD card for a C-class estate (16 plate) elsewhere online earlier this year. At first it worked well, but after a month it failed, stating it "could not open maps" and of course by this time the returns period was over. Not wanting to get burned twice, what is your returns policy? Hi we offer a 30 days money back guarantee and 12 month product guarantee. I am buying a new slc 180 amg delivery october 2017. Do you sell the sd card ? About to purchase C200d SE Saloon on a 16 Plate. 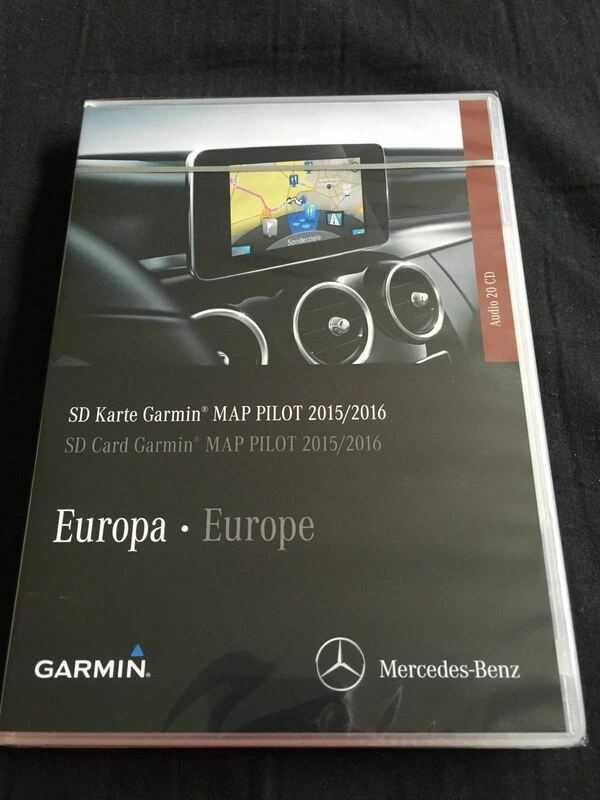 Would like to utilise Garmin Map Pilot, would this be the correct SD card? What is your returns policy. Hi yes this is the correct one for your car. Hi yes this is the correct card to activate the SatNav in that car. Hi, I have bought a 15 reg Mercedes C200 Petrol Version SD card slot is the center arm rest. is this Garmin map pilot SD card the correct one? have you got one in stock? Hi yes this is the correct one and they are in stock. I have a Mercedes C220 AMG line Bluetec registered January 2015 (Reg: WF64ODG) . Would this fit this model? Hi yes it will work with that series of car. Hi, Have just bought a 2016 Merc C200 (petrol version). SD card slot is in the centre arm rest. Is this Garmin Map Pilot	SD card the correct one? Are the in stock? is this compatible with an A class, 2015? Hi what car is it i.e. C Class etc etc ? 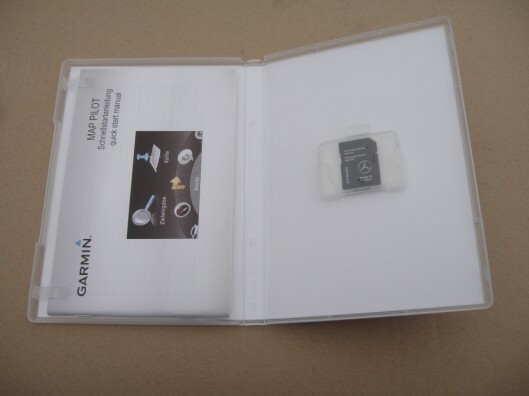 Hello, i have a C220d 64 amg line plate, when pressing the nav button it says that there is no memory card inserted. Is this the correct memory card which goes into the centre armrest? Does this item come in original Garmin packaging ? Also is this suitable for a new Mec. 220D with the SD card reader in the arm rest ? Hi yes they are in genuine sealed Gramin boxes. What Class mercedes is your 220D ? 220D is just the engine size ? Hi what model car is it ? Hi this is the correct card. Hi. Is this compatible with reg no. BD14WBN? Hi what model Mercedes car is it ? Hi does your car have a SD card slot if it does then yes this is most likely the correct card. For us to be 100% certain it is best that you provide the reg number and we can check with Mercedes for you ? Hi what year is your car ? Is their a bracket in the glove box or a slot for a Garmin SD card ? 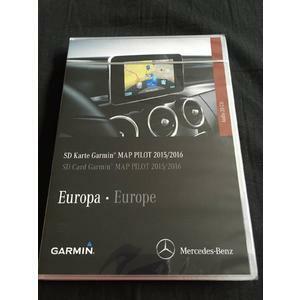 Hi, can you please tell me if you sell the Garmin Map Pilot SD card for a Mercedes SLC? And if so, how much? Many thanks. Hi what year is your car and I will check which card you need ? Is this the correct Garmin version for the "face-lift" version of the Mercedes A-Class which was released a few months ago? 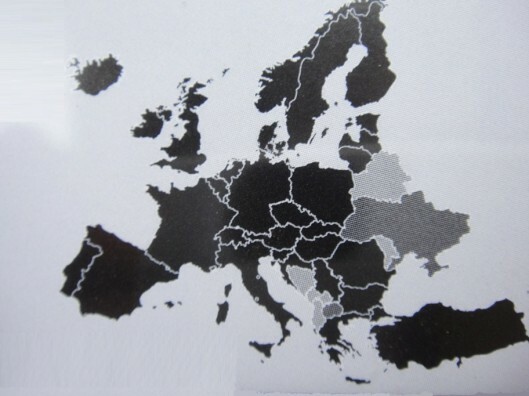 Hi what language are you looking for rather than us listing all the ones their ?